Garfield County Commissioners oppose the Extreme Risk Protection Order Bill, which was signed into law by Gov. Jared Polis last week. KDNK's Amy Hadden Marsh reports. 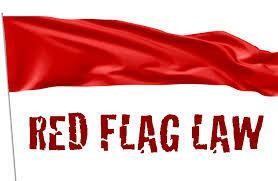 What has been referred to as the state "red flag" law would allow a family or household member or law enforcement to petition the court to temporarily remove someone’s firearms for up to a year. Commissioners declared Garfield County a "Second Amendment Preservation County" at a recent meeting.